I come from Cape Town, South Africa, and my background’s in educational publishing and ebook production. 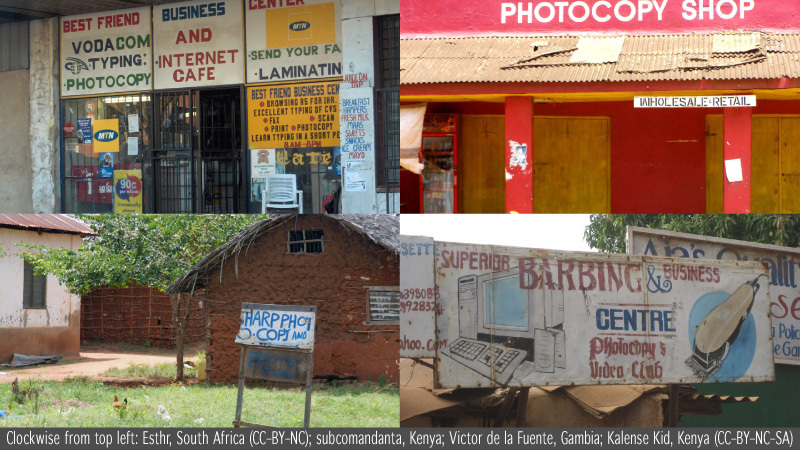 South Africa is like two different countries: about 2 million wealthy people who support the publishing industry (excluding schools publishing, where the state is the largest client by far), and about 48 million people who could never afford an ereader, don’t have credit cards to buy things online, or can’t afford to physically travel to a bookstore. So to make it possible for most people to read books, we need to totally rethink how we sell books. And that’s going to take some disruptive innovations. continually improving in relation to traditional performance parameters, it eventually displaces the former mainstream technology. Here are three South African initiatives I think fit the bill. The first is books and stories published on South Africa’s biggest mobile phone social network, Mxit. The second is Siyavula, who are producing free, open-licensed textbooks and distributing them in hugely disruptive ways. 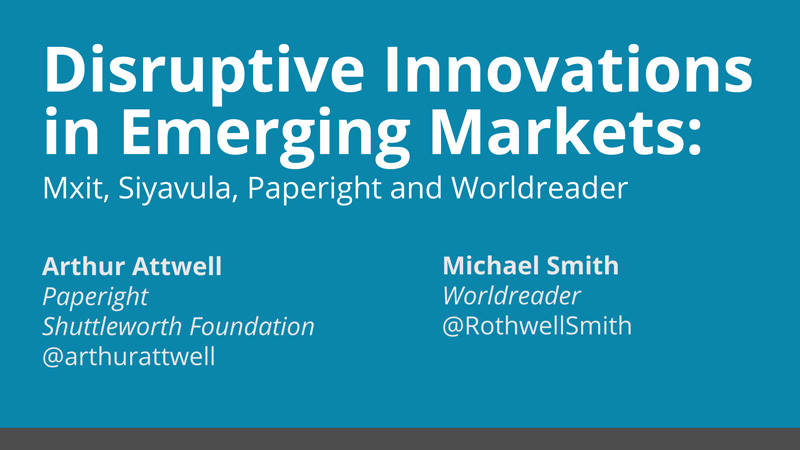 And the third, if I can be a little presumptuous about its contribution, is my own project, Paperight, where we’re helping the ubiquitous photocopy shop to legally print books out. So from time to time I hear this myth in South Africa that poor people don’t read. And because poverty and race are correlated in South Africa, the implication is that black people don’t read. It’s a massively destructive myth. But a few years ago a project called Kontax (under the Yoza.mobi umbrella project) turned it on its head. 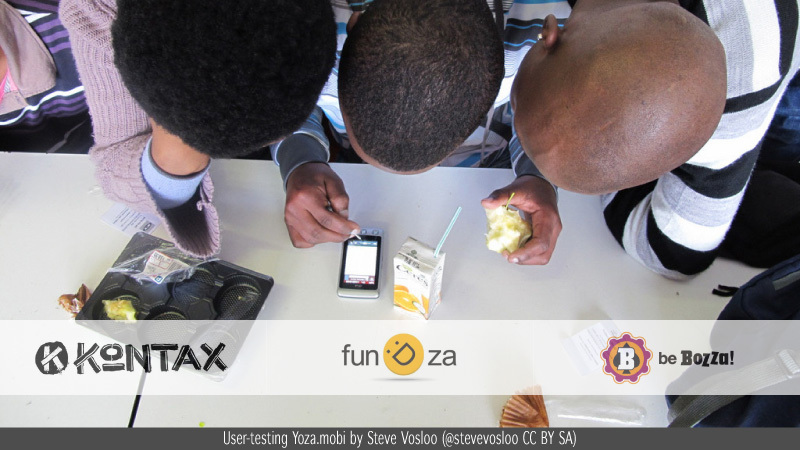 Kontax was a free novella written specifically for teens in the poorest parts of Cape Town to read on their mobile phones. Within one year, it had over 63 000 readers, most of them reading on the Mxit app on their basic phones. As importantly, the story generated thousands of reader comments, real engagement. The story was serialised at first, written and released in short chapters of about 800 words over a month. Mxit has about 10 million users in South Africa alone, which till last year was still more than mobile users on Twitter and Facebook combined. Kontax did not have a self-sustaining business model, but its success in terms of readership was so immense that it inspired other projects to try to build self-sustaining business models in the same space. The biggest of these is FunDza, a non-profit closely aligned with commercial publisher Cover2Cover. FunDza puts Cover2Cover’s novellas for teens on Mxit, where some stories are free and others are paid for. Two years since Kontax, FunDza’s books have over 360 000 readers and tens of thousands of comments. Some of their readers have become authors on the platform themselves. Bozza is another growing player that started on Mxit, and is now a mobile app of its own that distributes literature in text, audio and video, from poetry to fiction to education, and sells advertising. 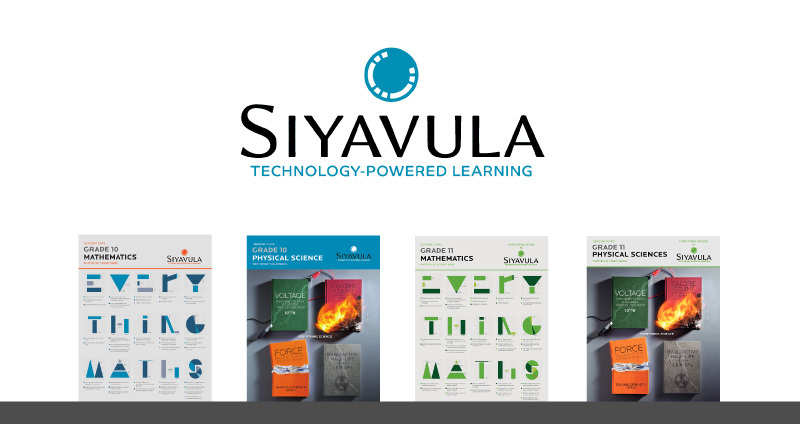 Siyavula is a company that produces textbooks that are entirely open-licensed. You can get their textbooks in print, as PDFs, as web pages on desktop or mobile, and importantly on Mxit. When they launched their high school maths and science textbooks on Mxit last year, within two months they had over 200 000 readers. They’re a classic disruptive innovation: they started about ten years ago when a group of university students started writing free material for high school students they were tutoring. At the time I was working for a big commercial publisher and I just didn’t take them seriously at all. But over the years, their textbooks just got better and better, all the time focused on being accessible anywhere and interactive in digital form. And is still having it. Last year and this year the government is printing more Siyavula books for more grades, and the company is expanding beyond maths and science books. The company doesn’t sell content, but rather the support and training services that surround a full implementation of transmedia learning materials. And they sell intelligent assessment: an interactive question-and-answer platform that adjusts difficulty levels based on students’ performance. Their technology is years ahead of anything local publishers have available, and it totally snuck up on traditional publishers. Third, let me say a little about my own project, called Paperight. Now, I love fantastic digital-only innovations like books on Mxit and Siyavula. They are critical and important. But their digital reach is still limited to a minority of South Africans who can get online on their phones and afford the data costs. There are millions more who can’t. 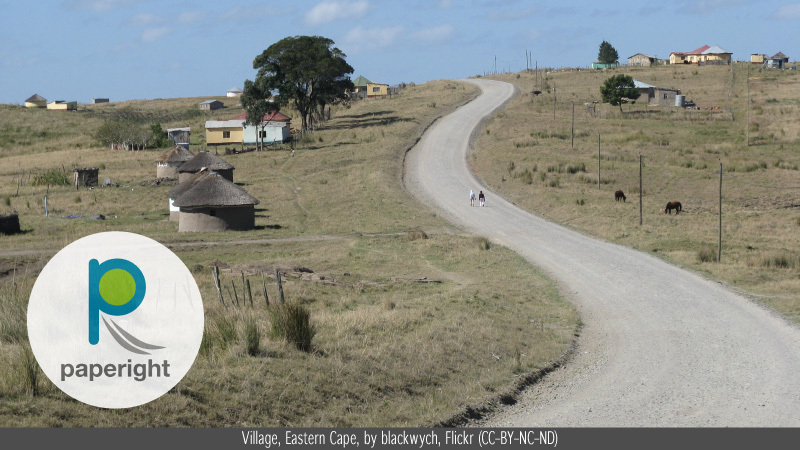 South Africa’s recent census showed that 65% of South Africans have no Internet access at all. The same is true of many countries in Africa. So a few years ago I started looking at whether print-on-demand could help us, and as I looked for smaller and smaller print-on-demand factories, I eventually found myself staring at a hair salon in my street with a copy-printer at the back. It was a potential print-on-demand bookstore. All it needed was book content, and the right to legally print it out. The Paperight site, paperight.com, is the tool that has helped us build a network of independent copy shops that print books out quickly and legally. On the site, we provide the automatic licensing and content that enables even tiny, rural copy shops to print out books on any old printer. If a business has an Internet connection and a printer, they can be a bookstore. 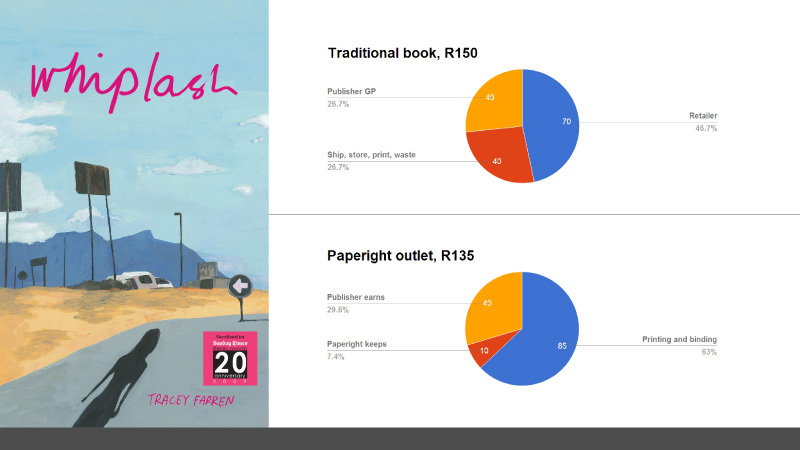 After a few years of research and piloting, we launched paperight.com last May, and we’ve already got 145 active outlets, small printing businesses mostly around South Africa that sell low-cost print-outs of books to people who’d never get to a big-city bookstore, or ever get online. It works because, often, all you need is a quick, cheap printout. We work directly with publishers to prepare content and set rights fees. Each copy shop outlet has a prepaid account with us, and as they download books, the publisher earns the rights fee. We take 20% of the rights fee. This is a conservative example: a 300-page novel we sell on Paperight. You can see that the publisher can earn the same gross profit from traditional and Paperight editions, and yet the overall price to the consumer is less. More importantly, the consumer hasn’t had to travel to a bookstore: they could get this book from any business with a copy-printer and Internet connection. So far, we have 40 publishers on the platform, and over 1400 books. And we’re selling books in places where no bookstores have ever existed. This entry was posted in Business, Technology and tagged Bozza, conference, FunDza, Mxit, Paperight, presentation, Siyavula, TOC, Tools of Change by Arthur. Bookmark the permalink. Go for it Arthur. 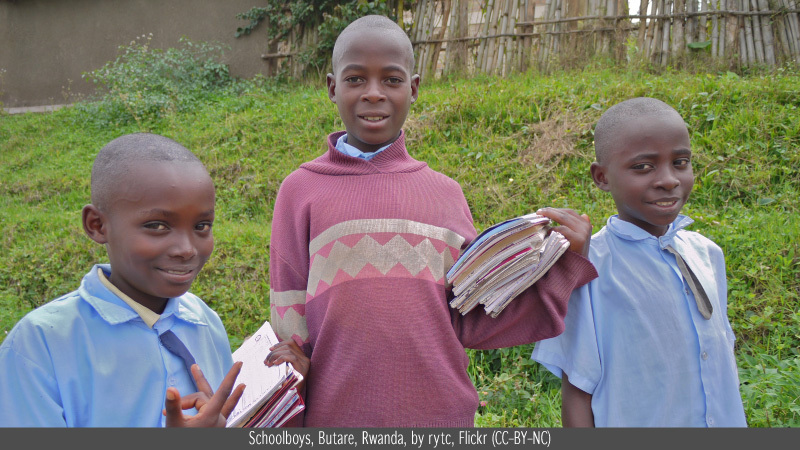 We’re looking forward to Paperight in Kenya and Uganda with the African Storybook Project.